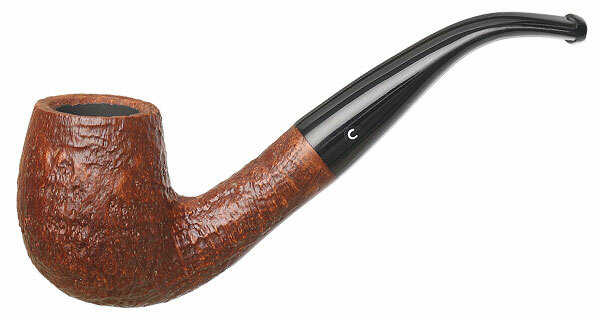 Comoy's Pebble Grain finish is a lovely, lightly textured sandblast, able to unearth a respectable amount of grain while keeping the underlying lines of the shape smooth and clean. 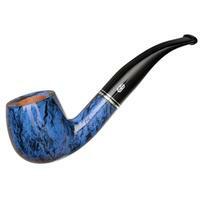 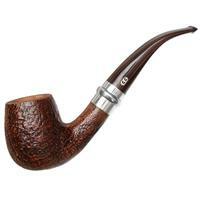 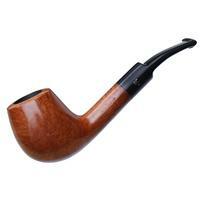 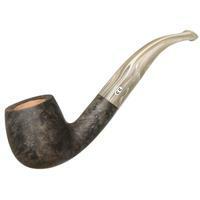 It works quite well on shapes like this "43" bent Billiard, the "43" being one of smooth, graceful style. 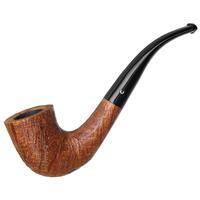 Bowl Height: 1.93 in./49.08 mm. 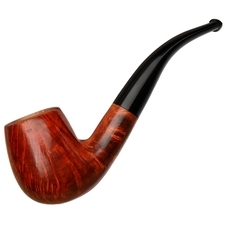 Chamber Depth: 1.65 in./41.84 mm. 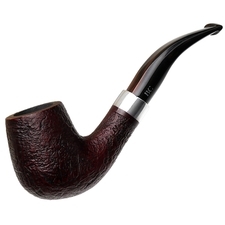 Chamber Diameter: 0.78 in./19.71 mm. 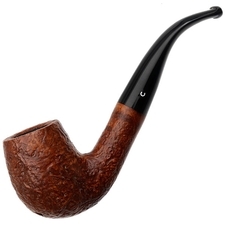 Outside Diameter: 1.52 in./38.55 mm.